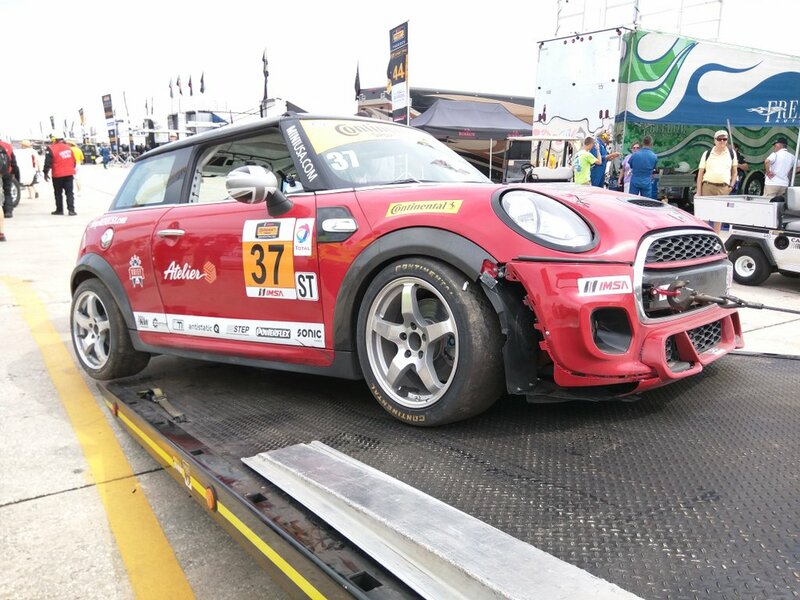 A hot sunny day at Sebring started off well for the MINI JCW Team. Ethan Low charged the #37 MINI JCW toward the front after the green flag dropped, getting the car as far as the top 5. The #73 wasn’t to far behind with Derek Jones behind the wheel. The two held close to the top 10 for most of their sprint. Just before the first caution of the race the #37 entered the pits for service and a driver change. Mark Pombo took over and after the remainder of the field pitted found himself in third place for the restart. Unfortunately the MINIs didn’t quite have the speed to contend with the front runners. Mark Pombo had a particularly scary moment at the end of the race. On the final lap #37 JCW lost the brakes. Pombo went flying through a turn into the side of one the Civics competing in class and then into the tire barrels. James Vance would later tweet that Pombo was ok.
All three MINIs seemed to get a little battered during the race and finished in the middle of the pack, consistent with what the practice and qualifying sessions showed. 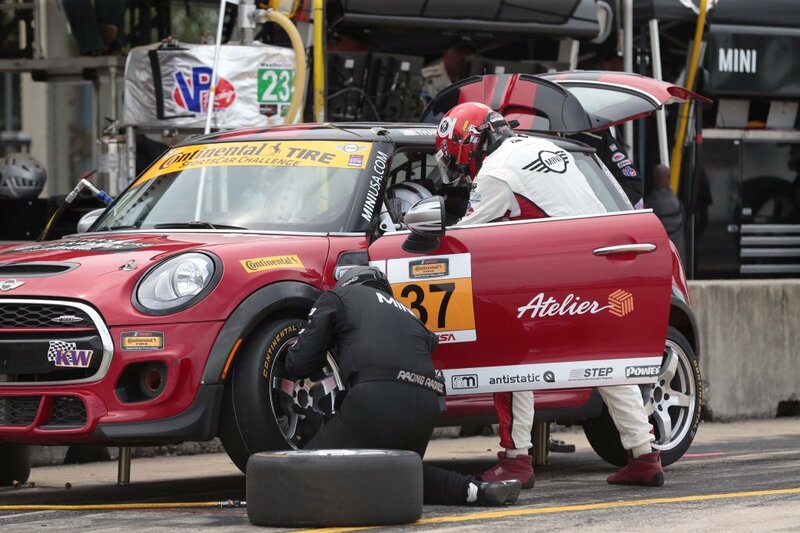 There’s plenty of time for the MINI JCW Team to repair the cars as the next race at Mazda Raceway Laguna Seca isn’t until the 30th of April. Hopefully the additional track time has given the team some insight on how to improve the cars for the next race. Full MINI results are in the table below. Edit: Added link to full race results and added fastest lap time.